Riley and I got an extremely late start to our outdoor planting due to the rainy and cold weather that we had during the Spring. We finally got outside recently to beautify the planter by the front door. 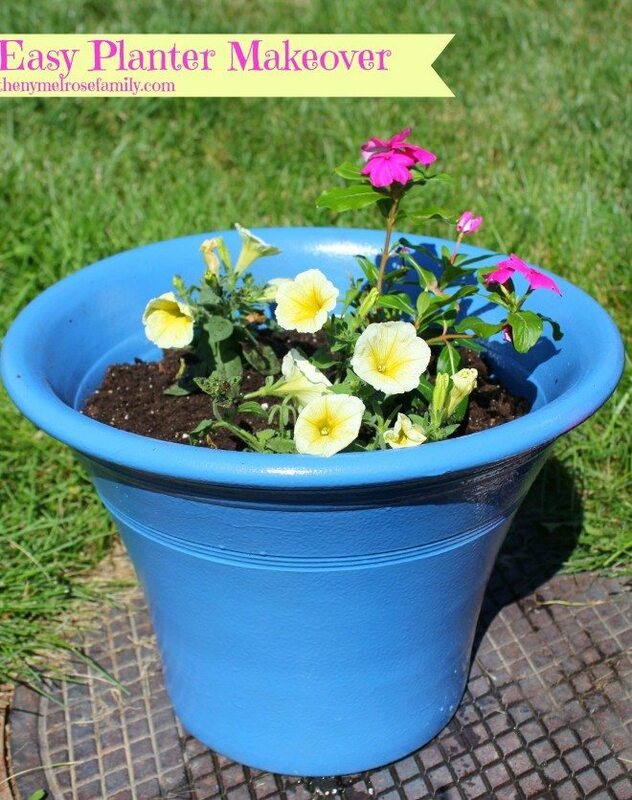 Thanks to Miracle-Gro and a can of spray paint this Easy Planter Makeover is put together in a cinch. We started out with our Simple Planter Pot from last year, which wasn’t as cute as I thought it was last year. It’s funny the way that happens, isn’t it? I gave the planter a quick makeover using Krylon spray paint in a fabulous blue that Riley picked out. The spray paint dried so quickly that we were able to begin placing the soil inside within five minutes of painting the planter. I used Miracle-Gro Potting Soil inside the planter and we planted Calibrachoa Yellow and Pink Vinca flowe. Last year the weather turned nice earlier so we were able to start our outdoor planting stories early. We created our Canvas Shoe Planter where we planted basil, parsley, spinach and chives. We also made the cutest corresponding Butterfly Corkboard Planting Sticks for our herbs. Riley was just as excited this year to have a chance to get her hands dirty and water the new plants. If you’re looking for more resources to create your own project be sure to check out The Gro Project to start your own story. 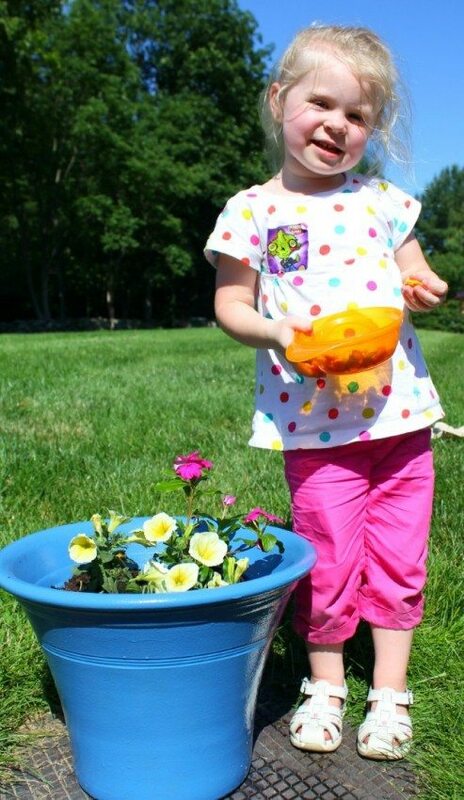 Also, check out the Miracle-Gro Pinterest page of fun garden projects for more exciting ideas.